Me conference feels proud and honoured to invite speakers, students, delegates specialists across the globe to its 14th Annual conference on crop science and Agriculture 2018 to be held in November 29-30 in Bali, Indonesia will be discuss on the theme discovering natural resources through agriculture and crop science. 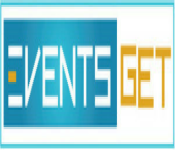 Me conference organize 3000+ Global Conference series Events inclusive of 600+ Conferences, 1200+ Workshops and 1200+ Symposiums Every Year across the USA, Europe & Asia with support from 1000 more scientific societies and 50000 eminent personalities. Crop science and Agriculture conference to be held in Bali, Indonesia with the theme of discovering natural resources through agriculture. Agricultural conference is going to help people who are directly or indirectly related to Agriculture and crop science and academia. 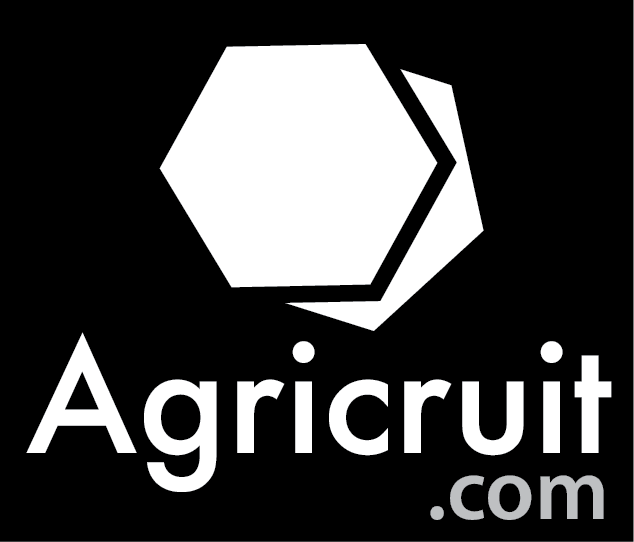 By this conference people can share their views, ideas and researches and can improve the knowledge about advanced techniques to improve the agriculture industry. 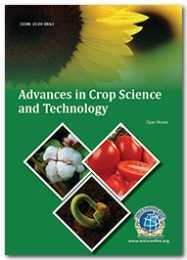 Crop science and Agriculture conference is a common platform for deans, professors, scientists, students, research scholars, directors, and other participants like consultant, economist, project manager from business and industrial sectors to establish a scientific relationship between academic experts and other participants through sharing informations. This is an open event; we welcome and invite you to participate in this prestigious agriculture and crop science conference to make an event as the best event in Bali, Indonesia. Our conference programs aim to give delegates the intellectual stimulus and opportunity to plan the next steps for their organization, departments, and careers. Crop science and Agriculture conference is going to be the largest conference for agricultural science and discuss about new research through natural resources; this is the best opportunity for those who are directly or indirectly related to agriculture. 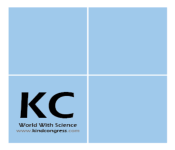 This conference conduct presentations, distribute informations, meet with current and potential scientists, act with new advancements and developments in this 2 day event. 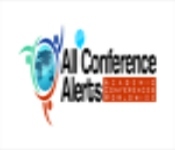 World-renowned speakers, the most recent techniques, developments and new updates are the features of this conference. Crop science is the highly integrative science including plant breeding, transgenic crop improvement, plant physiology and improved varieties of agronomic turf using developed cropping system and local crops to produce food, feed, fuel, fibre for growing population. Last century crop science achieved successes, now which are the part of everyday life. The role of crop science for biofuel production will increase upcoming year. 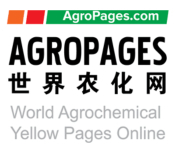 Starch, carbohydrate, sucrose that can be converted to biofuel and ethanol for optimization of biomass yield and minimizing the inputs of fertilizer, irrigation and pesticides, it is need to grow all bioenergy crops. 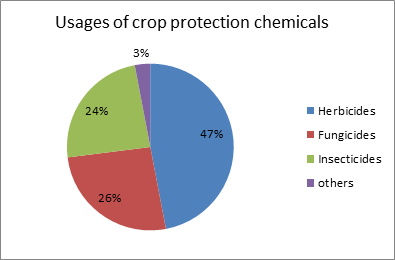 And for minimize the competition between biofuel crops and human food crops. Agriculture is the science for food cropping and animal farming for provide food, fibre, medicinal plant and many other things to sustain and enhance life. Horticulture is a form of agriculture which includes special method and techniques to improve plant products like vegetables, flowers, medicinal plants, nuts, seeds, herbs, sprouts, mushrooms, algae, sea weed, grass and decorative trees and plants. Through horticulture, we can do plant conservation, landscape restoration, soil management and garden design, construction and maintenance and arboriculture. Horticulturists are working in the plant development, plant quality and nutrition, an protect plants from insects, pests, disease and environmental anxieties. 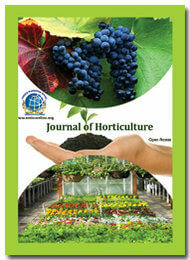 Agrobiology discuss about the interlink between soil condition and plant growth and nutrition. Bioresources incorporate horticulture, forestry, and naturally determined waste, no fossil biogenic assets which can be utilized by people for different purposes to create food. 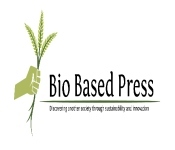 Bioresource engineering include the organic sciences, biochemical conversion like aerobic anaerobic process, growth process of microbial organism and enzymatic methods and fibre, fuel, feed stocks, fertilisers, composting, industrial product and management like modelling, analysis etc. Environmental impact on agriculture is climate change, deforestation, irrigation problem, pollutants, soil degradation and waste. . Eventually, the natural effect relies upon the generation practices of the framework utilized by farmers. 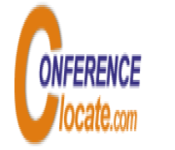 Agricultural conferences gives a chance to analysts and researcher to investigate the progressed and most recent research advancements in the field of Agriculture and Environment. Biodiversity of an area has adversely impact on the ecosystem of this area is called biodiversity and ecosystem stability. Ecological diversity is the variation in terrestrial and aquatic eco system. The environmental impacts of biodiversity thus are influenced by both environmental change through upgraded ozone depleting substances, pressurized canned products and loss of land cover, and natural assorted variety, causing a fast loss of ecosystems and terminations of species and local population. Global warming and agriculture are interrelated procedures, both of which happen on a worldwide scale. Environmental change influences horticulture in various courses, incorporating through changes in normal temperatures, rainfall, and changes in atmosphere changes in insects and disease; changes atmospheric carbon dioxide and ground-level ozone focuses. Environmental change is now influencing horticulture, with impacts unevenly dispersed over the world. Future environmental change will probably adversely influence crop production in low latitude while impacts in northern scopes might be certain or negative. Environmental change will likely expand the danger of nourishment frailty for vulnerable, for example, poor people. Creature farming is likewise in charge of ozone depleting substance generation of carbon dioxide and a level of the world's methane, and future land barrenness, and the removal of local species. Agribusiness adds to environmental change both by anthropogenic outflows of ozone harming substances and by the transformation of non-horticultural land, for example, woods into farming area. Agribusiness, ranger service and land-utilize change contributed around 20 to 25% to worldwide yearly discharges in 2010. 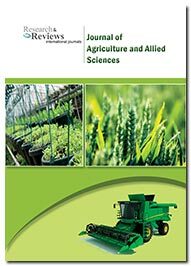 A scope of strategies can diminish the danger of negative environmental change impacts on horticulture and ozone depleting substance emanations from the agribusiness. Climate change may increase the possibilities of parasites and disease affect animal farming. Trees and shrubs are grown around or among crops, or shrubs and trees in agricultural and forestry for more profitable and healthy. Over convential agriculture and forest production agroforestry is a advantageous method. It provide more diverse habitat. For agroforestry soil is protect from soil erosion by ground cover. Agroforestry conserves species diversity and secure natural resources, decrease pollution, control soil disintegration, and improve wild life biodiversity. The advantages of agroforestry contain upgrade of the development of agro-economy and reserve sustainability. Agroforestry influence agro biological system and expansion of crop species. The best research requires is to create cultivate level investigations to economic costs, benefits which may diminish dangers related with agroforestry and support the cost of items. Landscaping also called gardening include living elements like flora and fauna. In an agricultural conference discuss about the improve of soil and increase the quality and quantity of agricultural crop. Soil is the source of all things like organic matter, mineral, storage water and medium for plant growth. 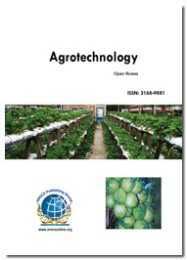 Agricultural crop science is discussed about choice and improvement of products. It incorporates innovative work on creation systems, enhancing farming efficiency, soil fertility, maintenance, security, collecting and post harvesting and pest management. Soil fertility is the capacity of soil to give all basic plant supplements in accessible structures and in a reasonable adjust, it support luxuriant growth of plants with very little human effort. It contains adequate minerals, soil natural issue, and great soil structure and soil dampness maintenance. 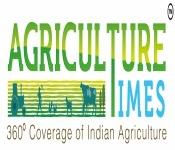 Agricultural meetings focusses on approach presentation for food security and prosperity incorporate state-wise, past, present and future system issues, and harvest insightful maintainability of agriculture. Quantity, quality and safety, also required for food security. The most common causes that affect food security like drought, pests and livestock disease, cash crop dependence and lack of emergency plans. Globalization, particularly, effectively influences the food production network by endorsing scale affect in the nourishment business. 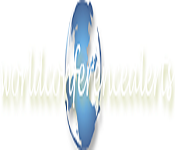 Agricultural conferences allow scientists and specialists to explore advanced and latest researches progression for food security. For good health and wellbeing nutritious food is important. Nutritious food provides; proteins, vitamins, minerals and essential fats to our bodies with energy for grow and function properly. In particular, the science examines food and how nutrients supports our bodies and impacts our health. It recognizes the procedures by which we consume, process, digest, and store the supplements in nutrients, and how these supplements influence our bodies. Nutrients likewise focus on the components that impact our eating patterns, and furthermore influence proposals about the measure of food we to eat and the sort of nutrients, and tending to issues identified with the worldwide food supply. At the point when contrasted and other logical trains, for example, chemical science, biological science, and physical science, nutrition is a relative newcomer. The development, conservation, and readiness of nutrition have assumed a basic part in the lives of people for centuries. In Agricultural conference discuss on agricultural biotechnology which is the combination of scientific tools and scientific techniques mostly based on genetic engineering,, molecular markers and tissue culture to change agricultural productivity, quality, assorted variety and species protection. Agricultural Biotechnology is developed to adapt up to current difficulties which are typically can't be tackled by conventional practices. Agricultural Biotechnology additionally helps in climate adaptation, stress management, and disease management, seeds yield, resistant to insect pest and plant disease and improves soil conservation. Biotechnology has acquainted current advances with manage the worldwide food emergency. Agricultural conference gives a chance to scientists and researcher to investigate the progressed and most recent research advancements in the field of Agricultural Biotechnology. Plant physiology related to plant ecology, genetics, molecular biology, biochemistry, biophysics and process included respiration, nutrition, metabolism, plant hormone function, photoperiodism, tropisms, photo morphogenesis, natural physiology (plant infections), seed germination, dormancy and distinctive stomata capacity and transpiration, plant water relations. Plant organic chemistry is identified with molecular science, for example, micro molecules and plant metabolism, Biomolecules, carbohydrates, amino acids, lipids. Plant pathology is the scientific discovery plant disease caused by pathogens and environmental conditions. It is additionally called phytopathology. Life forms that reason viral disease incorporate growths, microorganisms, infections, viroid and infection like animals, phytoplasma, protozoa, nematodes and dependable plants. A plant considered undesirable, particularly one that develops where it is no need and frequently develops or spreads quickly or replaces wanted plants. It is an oceanic plant or alga. . Plant pathology additionally includes the investigation of pathogen distinguishing proof, disease etiology, disease cycles, economic impact, plant infection the study of disease transmission, plant disease protection, how plant disease effect people and animals, pathosystem hereditary qualities, and management of plant disease. Agricultural conference focusses on the animal Farming. Animal Farming is agricultural practice to produce commodities, for example, food, fibre, leather, wool and work by raising residential creatures like poultry, cow, cattle, fish and different warm blooded animals. Now a day, domesticated animals cultivating is exceptionally very much oversaw as animals are furnished with legitimate dietary food and shelter. These days push administration is likewise a piece of domesticated animals cultivating as it at long last enhances item yield and quality. Pigs and poultry are raised seriously in indoor environment. Nonetheless, indoor creature cultivating has regularly been scrutinized for numerous reasons - on grounds of pollution and for animal welfare reasons. Animals farming assume a noteworthy part in the rural business and economy of significant creating nations. Agricultural conference gives a chance to specialists and researcher to investigate the progressed and most recent research improvements in the field of Animal Farming and genetic engineering. Risk is a vital part of the Agricultural business. The vulnerabilities of climatic conditions, yields, costs, government policies, worldwide market esteems, and other associated components can persuade wide vacillation in cultivate profit the most well-known risk in agriculture is drought. Risk administration is related with picking among options that diminish the money related impacts of such vulnerabilities. Risk administration in horticulture is presently a fundamental device for ranchers to suspect, stay away from and respond to stuns. A proficient risk management framework for agriculture will save the way of life of the individuals who rely upon cultivating, strengthen the suitability. Agricultural Risk Management policies should centre on cataclysmic dangers that are uncommon yet make significant damage to numerous farmers in the meantime. In agricultural conference additionally talk about agricultural financial matters and business. Agricultural financial aspects is a field of financial aspects worried about the use of economic theory in improving the generation and appropriation of food and fibre a discipline known as agricultural economics or agronomics. It focused on developing the product yield while keeping up a decent soil biological community. 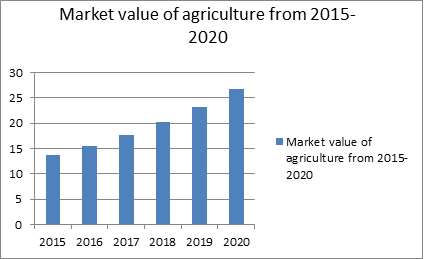 An agricultural economics matter today incorporates an assortment of connected territories, having impressive cover with traditional financial matters. Agricultural economics have made considerable commitments to inquire about in financial aspects, econometrics, advancement financial aspects, and natural financial matters. Agricultural economic matter economics, econometrics, and ecological strategy. Agribusiness is the matter of farming generation. It incorporates agrichemicals, breeding, and crop production; cultivate apparatus, handling, and seed supply, and also advertising and retail deals. All operators of the nourishment and fibre esteem chain and those foundations that impact it are a piece of the agribusiness framework. Request of harvest generation is raising a direct result of expanding populace. So the market estimation of product is additionally expanding step by step. Without modern agricultural procedures, current population levels couldn't be maintained and anticipated close term population development would make focuses on that would destabilize the current worldwide social and political request. Generally recent innovations in seeds, chemicals, and manures have empowered rural makers to meet the consistently developing requests of hungry world population. Indeed, even with the fast increments in agrarian profitability, in any case, challenges for the farming business to supply the developing worldwide economy with adequate supplies of rural staples are more noteworthy now than any time in recent memory. Another green transformation like the one that occurred amid the last piece of the twentieth century is occurring everywhere throughout the world to take care of the normal demand by the developing total populace and its expanded way of life. Agriculture is the basic source of food supply of all the countries of the world, whether underdeveloped, developing or even developed. Raising supply of food by agricultural sector has, therefore, great importance for economic growth of our country. Agriculture is the art and science of cultivating the soil, growing crops and raising livestock. It includes the preparation of plant and animal products for people to use and their distribution to markets. 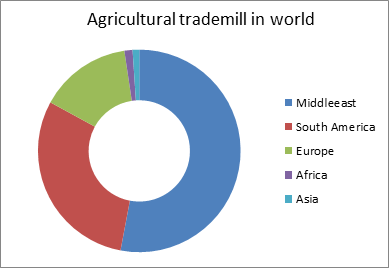 Agriculture provides most of the world's food and fabrics. America's farmers and ranchers make an important contribution to the U.S. economy by ensuring a safe and reliable food supply, improving energy security and supporting job growth and economic development. The United States is the world's leading exporter of agricultural products. The Indonesian national motto “Unity in Diversity” points to one of the greatest attractions of your host country, Indonesia. There are some 300 ethnic groups, a result of both the country's unique geography and history. It is a unitary sovereign state and transcontinental country located mainly in Southeast Asia with some territories in Oceania, situated between the Indian and Pacific oceans, it is the world’s largest island country, with more than seventeen thousand islands. Bali is part of the Coral Triangle and the area is surrounded with the highest biodiversity of marine species. Education in Indonesia is compulsory for twelve years and the literacy rate is 95.22% (2016).At 1,904,569 square kilometres (735,358 square miles) Indonesia is a 14th- largest country in terms of combines sea and land area. It has an estimated population of over 260 million people and is the world’s most populous country, the most populous Austronesian nation, as well as the most populous island, Java, contains more than half of the country’s population. The 10th International Conference on Agriculture & Horticulture (Agri 2017), hosted by conference series took place at London, UK during October 2-4, 2018. It was organised by Me conference and generous response from the Editorial Board Members of our supporting journals as well as from eminent scientists, talented researchers and young student community. Reaserchers and students who attended from different parts of the world made the conference one of the most successful and productive events in 2017 from Me conference. The program witnessed thought provoking keynote and plenary presentations from experts in the field of Cell Therapy, highlighting the theme, “Agriculture for the Future”. Me conference has taken the privilege of felicitating Agriculture and horticulture 2017 Organizing Committee, Keynote Speakers who supported for the success of this event. Me conference, on behalf of the Organizing Committee congratulates the Best Poster awardees for their outstanding performance in the field of Plant Science and appreciates all the participants who put their efforts in poster presentations and sincerely wishes them success in future endeavours.